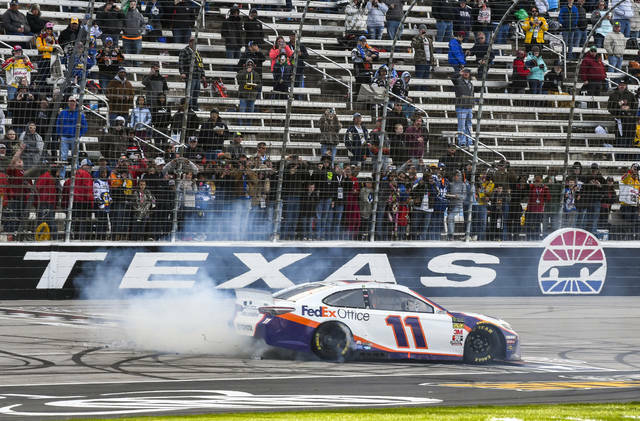 FORT WORTH, Texas (AP) — Denny Hamlin had such a fast car at Texas that he was able to win even after two penalties on pit road and some other issues during green flag conditions. 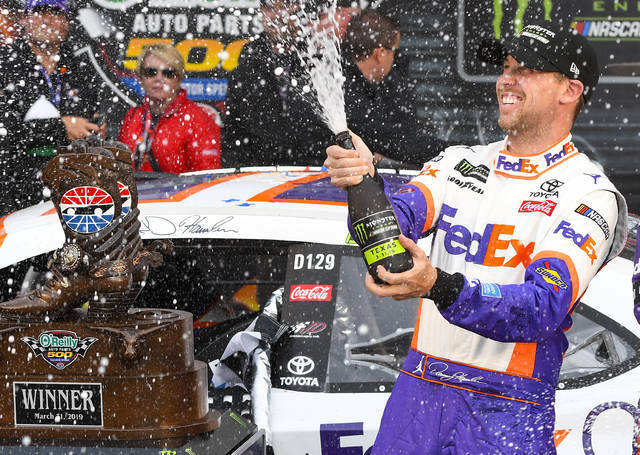 While Hamlin was reviewing all that happened, crew chief Chris Gabehart interrupted — “I think you passed 327 cars by my count, but maybe not,” he said. Hamlin’s No. 11 Toyota finished more than 2.7 seconds ahead of Clint Bowyer . 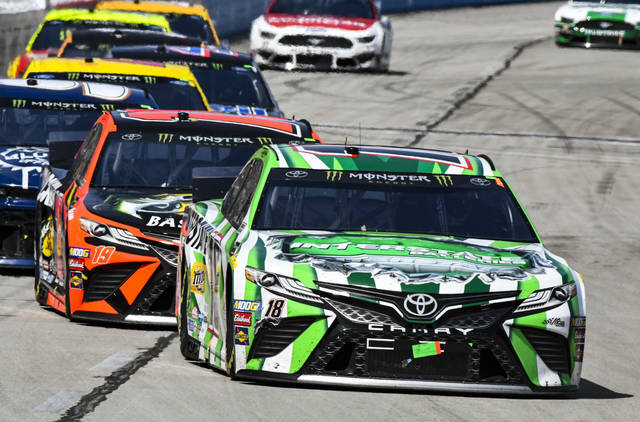 The 334-lap race at the 1 ½-mile track, with only three cautions outside the two stage stoppages, featured 27 lead changes among 13 drivers. “It just busted loose on me, and I had to catch it and make sure we didn’t crash,” he said. While Johnson’s career-worst winless drought reached 66 races, he started from the pole for the first time since 2016 and his 61 laps led were more than he had combined since the start of 2018. “I feel much better about things,” Johnson said. Brad Keselowski, a two-time 2019 winner coming off a victory at Martinsville, was scrubbing tires for the restart before the second stage when “something in the back of the car broke.” After extended time to repair the car, he got back out and finished 36th in the 39-car field, 55 laps behind Hamlin.